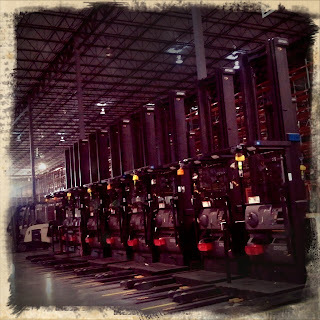 Before I learned how to turn the stupid borders off of photos that didn’t need it, I got this surprisingly interesting shot of neatly parked, uber-forklifts at the distribution center my mother-in-law works at. I don’t remember why I took the pic. I just remember the symmetry catching my attention. 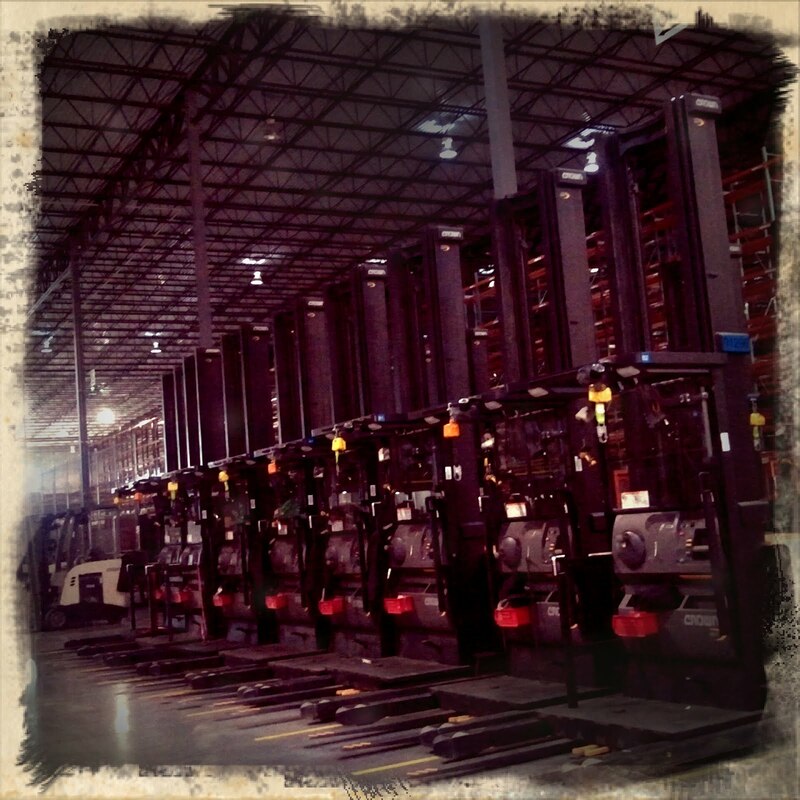 Filmed with Retro Camera for Android.